Summer intensive programs are short term programs, ranging from 3-14 weeks that allow international students to learn English during the months of June, July, and August. Programs are offered at a range of educational institutions such as colleges, universities and private institutions across the USA. Summer intensive programs are a great way for students to accelerate their English language skills. If you’re interested in applying to a summer intensive program, here are the steps you need to take to apply. There are many summer intensive programs in the USA. You can search for summer intensive programs by using Study in the USA’s school search tool. 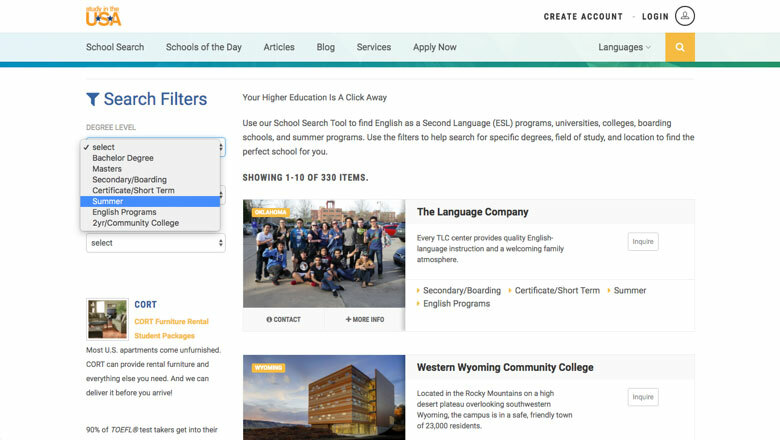 Using the filters on the left-hand side of the screen, you can search for summer programs under the degree filter. You can narrow your search by selecting the specific U.S. state to search for summer intensive programs. Once you’ve found a program you are interested in, click on the profile to learn more details. Summer intensive programs range in price depending on the length of the program and whether they provide living accommodations. International students should be prepared to spend anywhere from $2,000-$10,000. 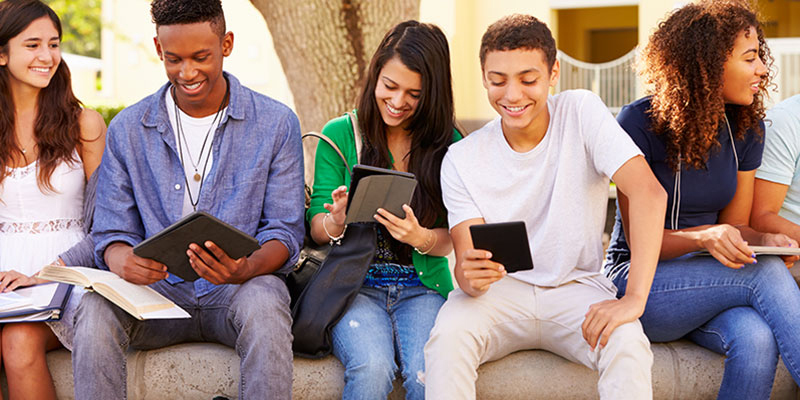 Inquire with the programs you are interested in to understand the format in which they’ll accept tuition, such as online money transfer, check or credit card. It’s important to have these funds available before you apply to your programs of choice, because once you are accepted you can place a deposit and secure your place in the program. Some summer intensive programs may require your academic records such as your high school transcripts or TOEFL scores but in general, most do not require these documents. One document you will need is a passport in order to travel to the USA. If you don’t have a passport and are interested in studying abroad, submit an application for a passport in your home country as soon as possible. Once you have decided which programs you’d like to apply to, have ensured you have sufficient funds to pay your tuition and living expenses, and have the appropriate documents for your application, then you are ready to apply! Also, don’t forget to make copies of important documents. Brianna Burrows is a freelance marketing specialist and alumna of Northeastern University. She specializes in event management, social media management, and content branding. She can be reached at briannaburrows@gmail.com. Follow her on Twitter here.